By the way, there is an uncertainty about the name of Polblue ... Search the internet and you'll find Mt Polblue and Polblue Mountain. On the 1:25,000 scaled Moonan Brook 9134-2S map, it is simple Polblue. • Quarantine no-go area is in Photo #14 ... scroll forward to see it. The night before, we camped out at Polblue Picnic Area & Campground by the side of Barrington Tops Forest Road. It is a nice and large camp site with flush toilets. There is a $10 camping fee per adult - fill out a form and pay the money on the spot. 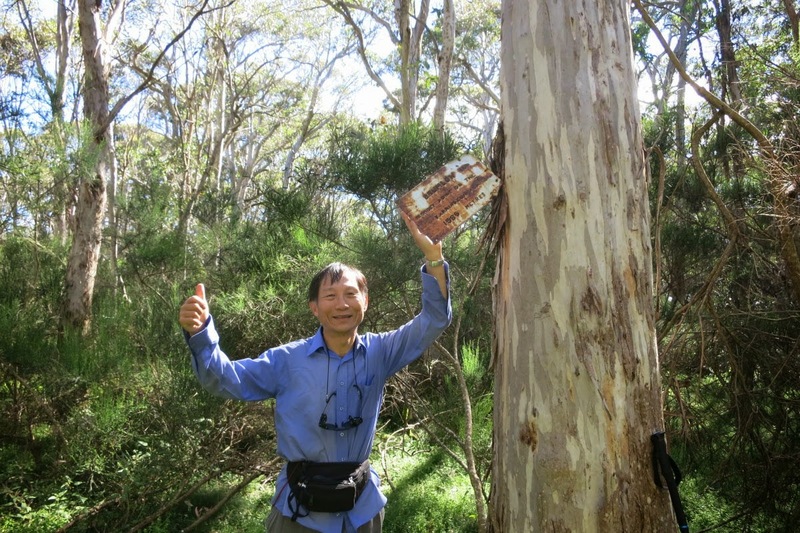 - from the west via Moonan Flat; a longer drive with about 25 km of unsealed road towards the end. - from the east via Gloucester; a shorter drive with about 40 to 50 km of unsealed road towards the end. Both unsealed roads are ok for 2-wheel drive cars. My preference is the first option - via Moonan Flat. 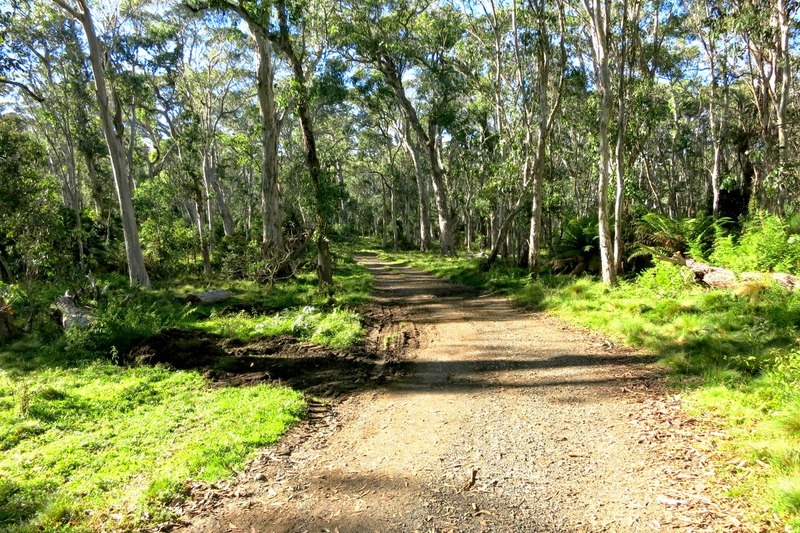 • Start at Barrington Trail off the Barrington Tops Forest Road. • Walk on Barrington Trail until we are at west-south-west of Mt Polblue. • Leave trail and bushbash to Mt Polblue summit. • Retrace steps to Barrington Trail. • Walk on Barrington Trail until we are north of Brumlow Top. • Leave trail and bushbash to Brumlow Top summit. After climbing Brumlow Top, we intend to visit a place called The Big Hole (no idea what it is, hence keen to check it out). Unfortunately I hadn't done the research properly prior to the trip ... 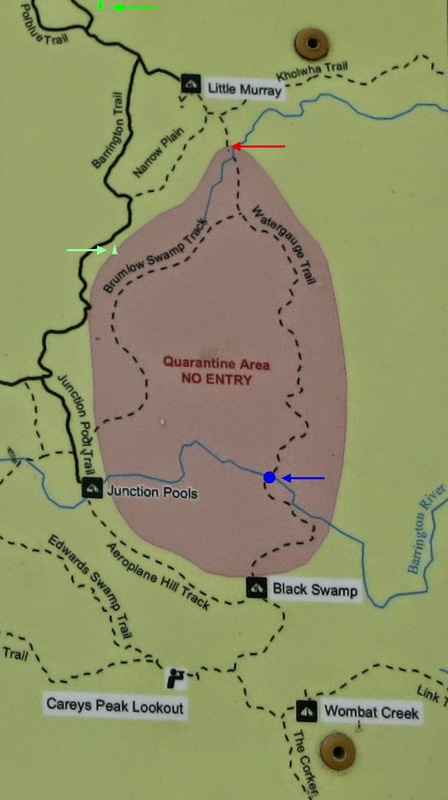 When we reach the Watergauge Trail which will lead us to The Big Hole, we find a locked gate with a sign saying that most of the plateau is under Phytophthora quarantine ... see photo #12 & #14. Damn! A disappointment, but at least we climbed the 2 highest mountains, and an early day back to Sydney. 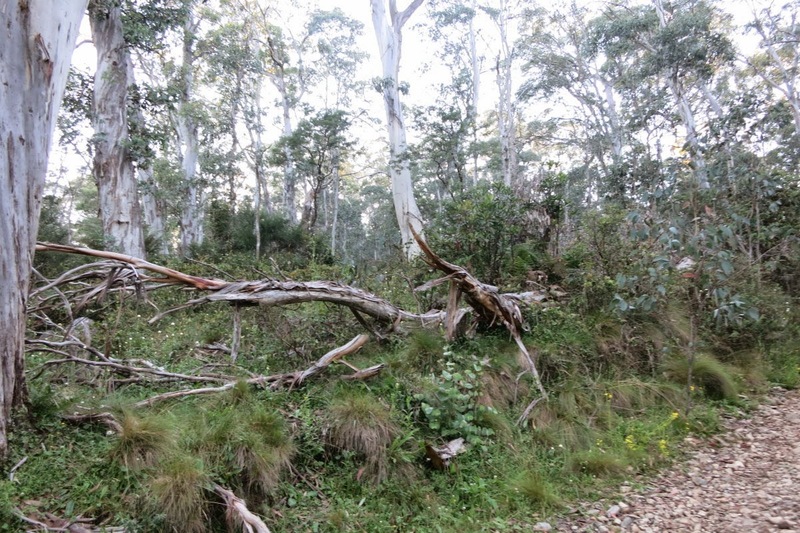 1) We camped out the night before at Polblue Campground by the side of Barrington Tops Forest Road. 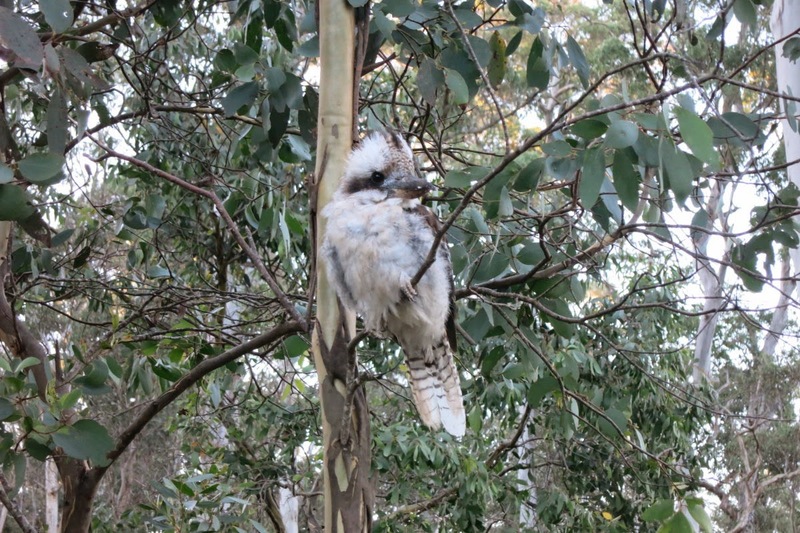 This Kookaburra was sitting on a gum tree watching us having dinner. 2) We are up early in the morning to climb Mt Polblue. Here, we are walking on the Barrington Trail and are about to enter Nolans Swamp. Mt Polblue is behind the trees on the right edge of the photo. 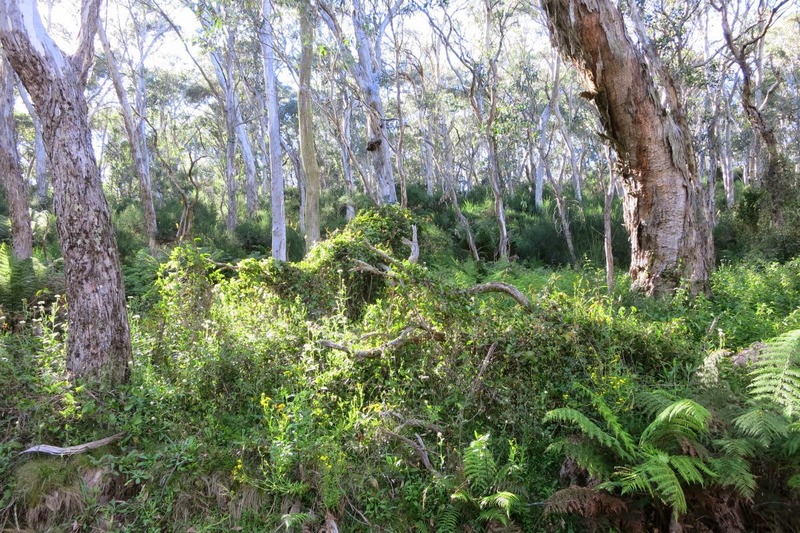 3) Mt Polblue is somewhere inside the scrub ... When you are west-south-west of Mt Polblue, it takes about 240 meters of bushbashing to reach the summit (so I thought at the time). 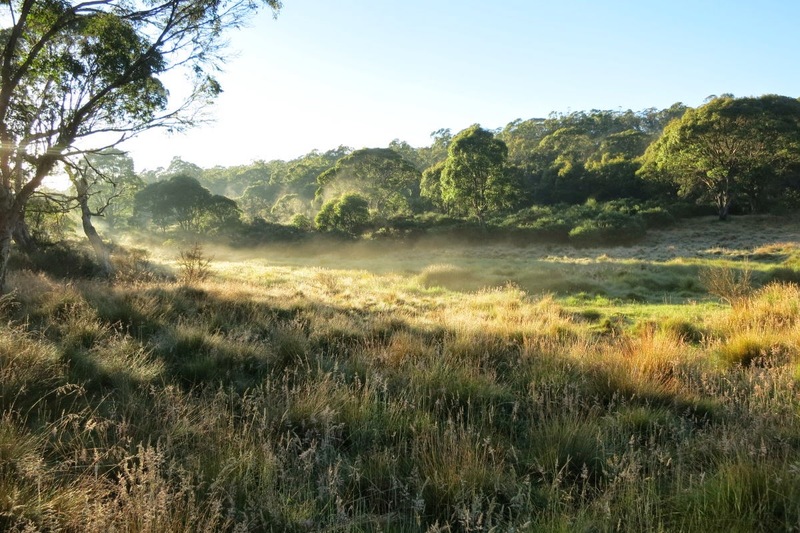 The Barrington Tops Plateau is very flat. There, the mountains, if you can call them mountains, don't have the classic pyramid shape. They are merely an area slightly raised above the surroundings. 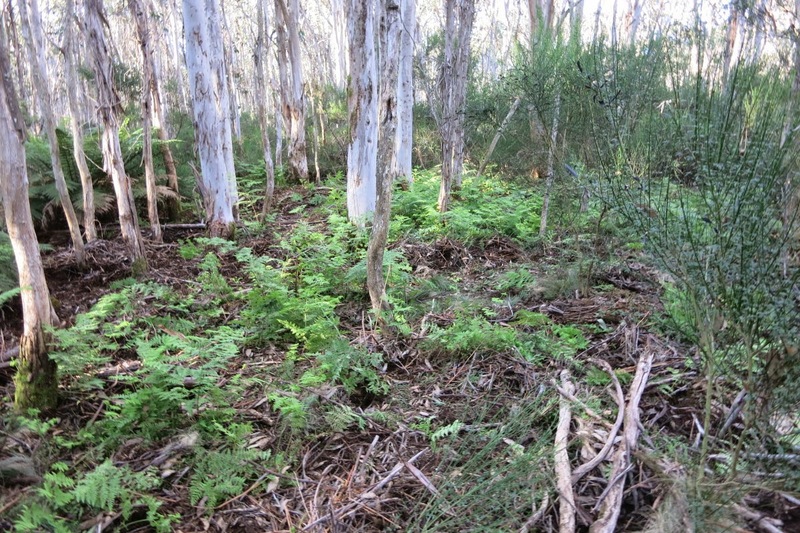 4) Although there is no trig or cairn, this small clearing seems to be the summit of Mt Polblue, 1577 m, 2nd highest mountain in the Barrington Tops Plateau. Like many high points in the Plateau. there is no view ... too flat and too many trees. 6) We've come down from Mt Polblue, back on the Barrington Trail to Brumlow Top. 7) When we are directly north of Brumlow Top, we leave the trail and bushbash for 255 meters towards the summit which is somewhere inside this scrub. 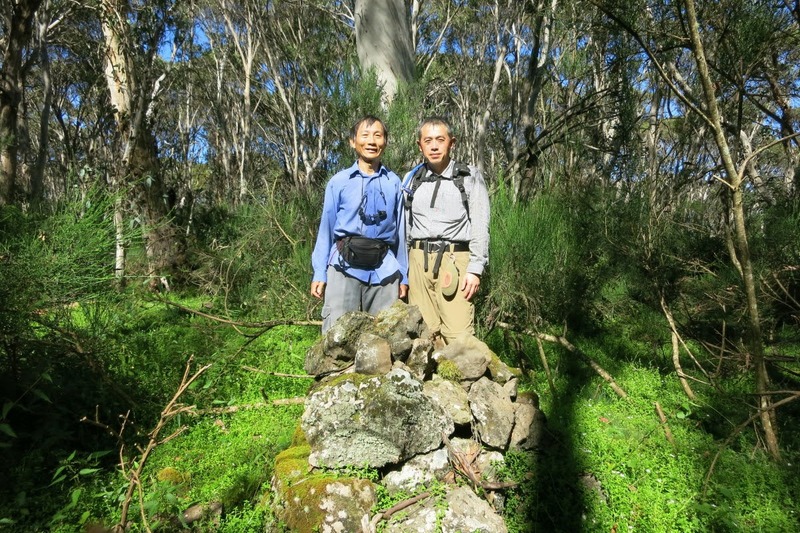 8) At the summit of Brumlow Top, 1586 m, highest point of the Barrington Tops Plateau. 12) We've come down from Brumlow Top and are on Watergauge Trail to The Big Hole ... no idea what it is, hence keen to check it out. 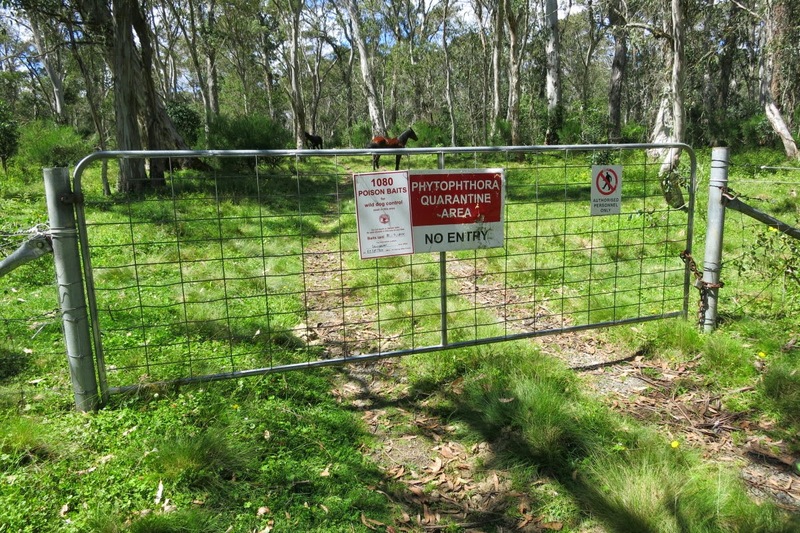 But we encounter this gate with the sign: "Phytophthora quarantine area. No entry"
Damn! A disappointment, but at least we've climbed the 2 highest mountains, and an early day back to Sydney. 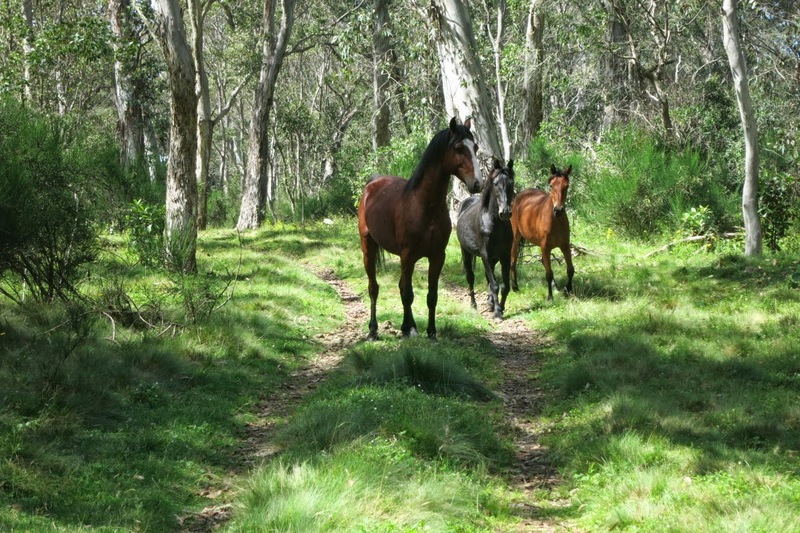 13) Just inside the gate, there are feral horses. Phytophthora is a water mould that attacks roots of plants causing them to rot. 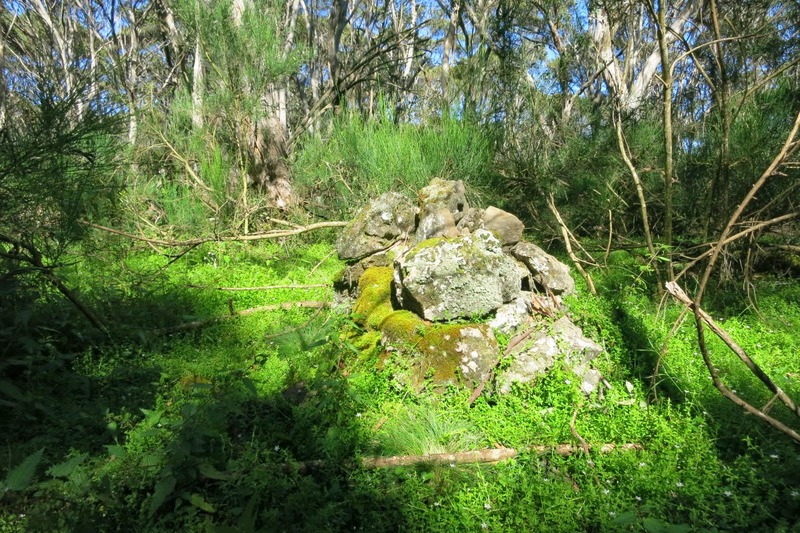 This mould is now found in the Barrington Tops Plateau, hence the purpose of the quarantine area to prevent the mould from spreading further. But these feral horses (and feral pigs too) are not going to observe any quarantine. So what is the point of a quarantine on us hikers??? 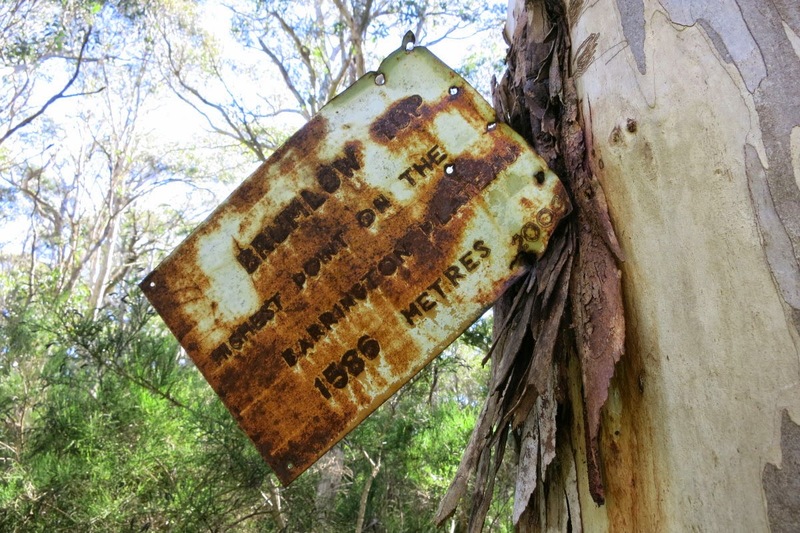 Sometimes you just wonder at the stupid wisdom of NPWS (National Parks and Wildlife Service). - The pink area is under Phytophthora quarantine. No entry is allowed. - The green arrow at the top points to Mt Polblue which we climbed early in this morning. - The other green arrow points to Brumlow Top which we just climbed. - The red arrow points to the gate (Photo #12) which stops us from going further. - The blue arrow points to The Big Hole which we are meant to check out. 15) There are plenty of these pretty daisies on the Plateau. 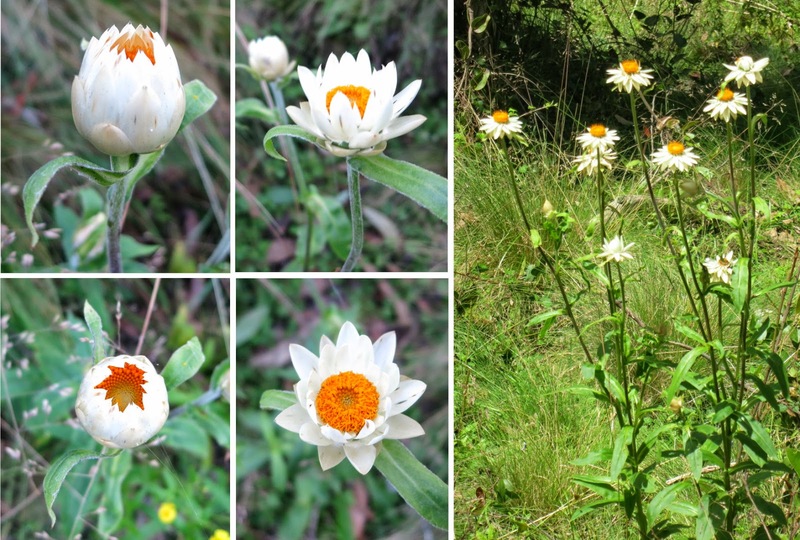 Is it Oxeye Daisy (Leucanthemum vulgare)? 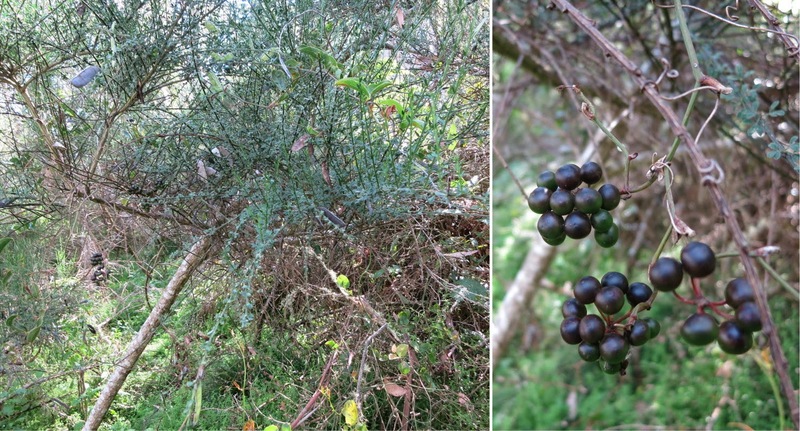 ... which is considered a weed in Australia. - The pics in the middle are taken at 7:30am. 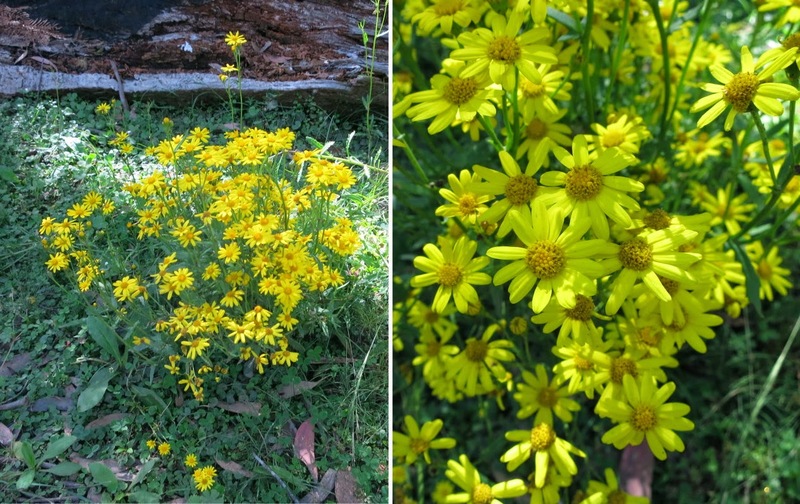 - The pic on the right is taken at midday. 17) This interesting flower grows close to the ground. 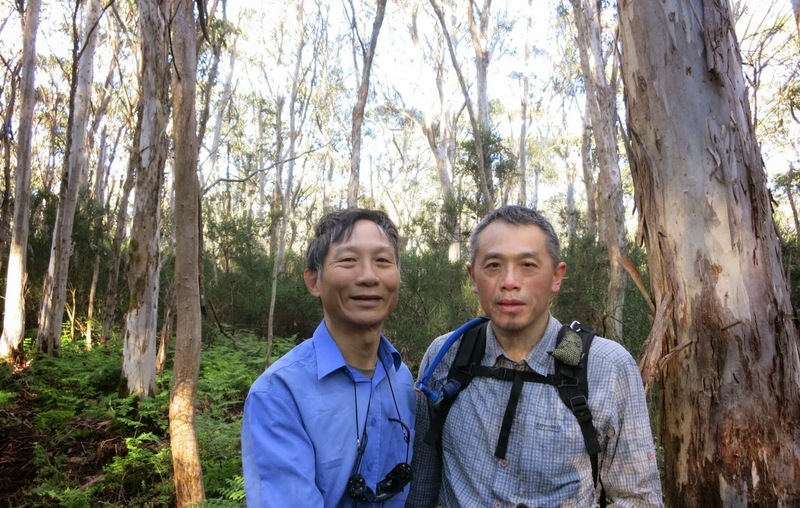 I saw them in Mt Bogong (Vic) too. If you know its name, please let me know. 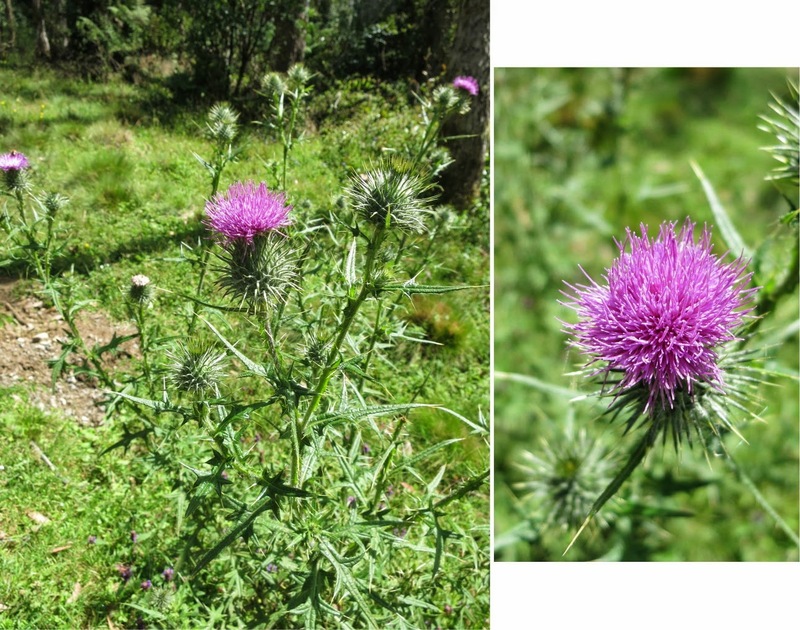 20) I notice only one single Milk Thistle plant (Silybum marianum). 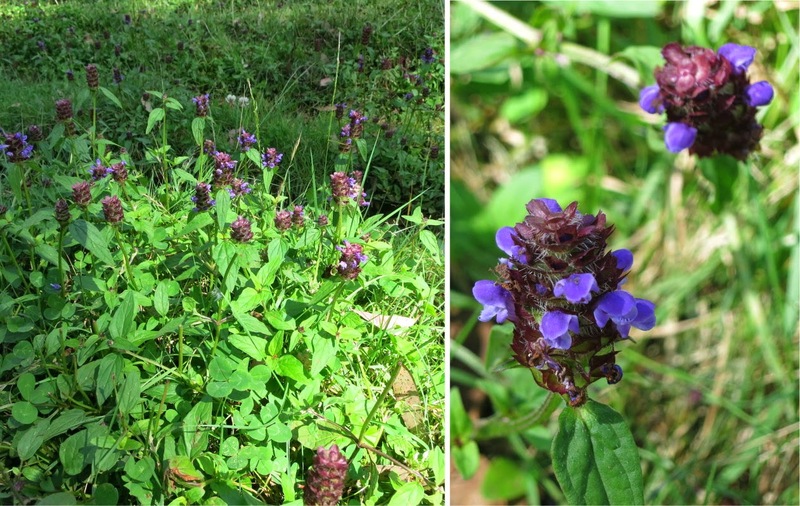 This photogenic purple plant originated near the coast of southeast England, it has since been distributed widely all over the world. 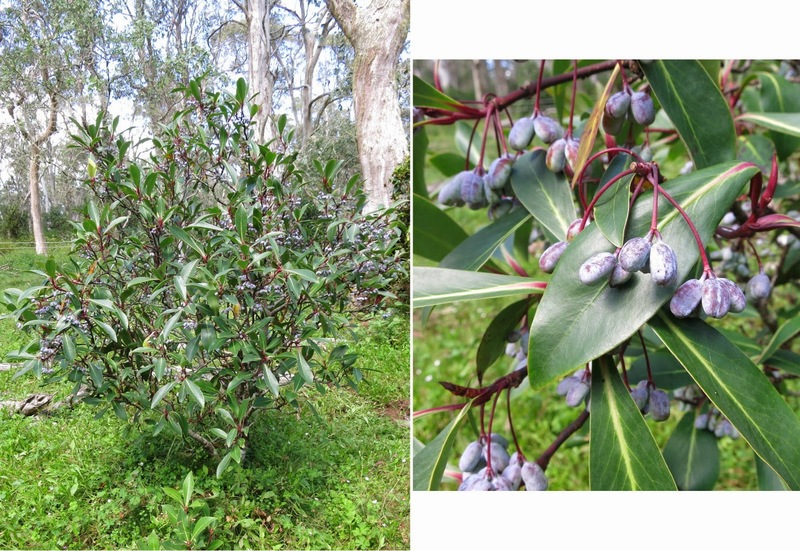 Many countries, including Australia, consider it as an invasive weed. However extracts from it are supposed to be good for liver, kidney and gall bladder problems. 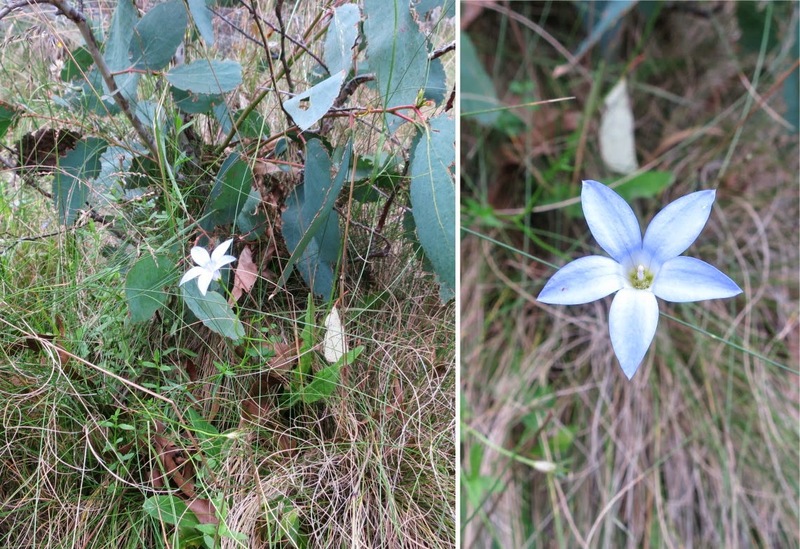 21) Wahlenbergia gloriosa (Royal Blue Bell) grows in the wild in the sub-alpine woodland in ACT, south-eastern NSW and Victoria. It was officially proclaimed the ACT Floral Emblem on 26 May 1982. Thank you. I have incorporated your comment into the blog.